RCL Systems - News & Events | Texas | RCL Systems, Inc.
DNS Protection — Secure your DNS connection against cyber attacks, get total visibility into web usage, and enforce acceptable web usage policies to reduce risk. Your DNS connection is involved in every aspect of internet usage, but it's highly vulnerable to cyber attacks. 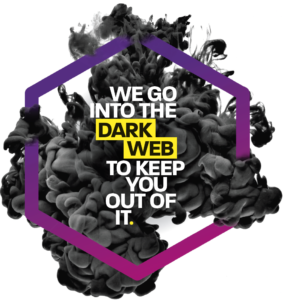 Not only do businesses need to secure their networks, endpoints, and users against the risks that come with uncontrolled web usage—they must also protect the connection itself. Each and every one of our security and backup packages are monitored 24/7 with our agent-based application and will trigger a notification to our Network Operations Center (NOC). The NOC generates a ticket using this information and notifies our technicians that investigate the issue..
All customers will have a customer portal that they can login to create a ticket and monitor the process of the service request. On your customer portal you can view all your tickets generated and the status of the tickets. Here you will see how hard our techs are working to keep your computers trouble free, and just because you didn’t call in a trouble ticket, we are still working in the background fixing minor issues so you can continue to work without any bother from a technician calling you to say I need on your computer to fix something, because a lot of the issues are resolved by RCL in the background via our agent and tech. RCL agent allows us to set schedules to keep your system up to date, to defrag your hard drives even alerts us if your hard drives are low on free space which can lead to performance issues and in fact we have dozen of performance monitors that scan and report or fix performance issues constantly. And when we install the antivirus, DNS Protection and RCL’s backup solution they too are closely monitored, that way if a missed backup or a virus or malware has been quarantined, immediately a ticket is created and RCL is alerted. When Hurricane Rita ripped through Houston in September 2005, it forced Gary Bailey, director of IT for Penn Virginia, to quickly take notice. RCL Systems launches new website!